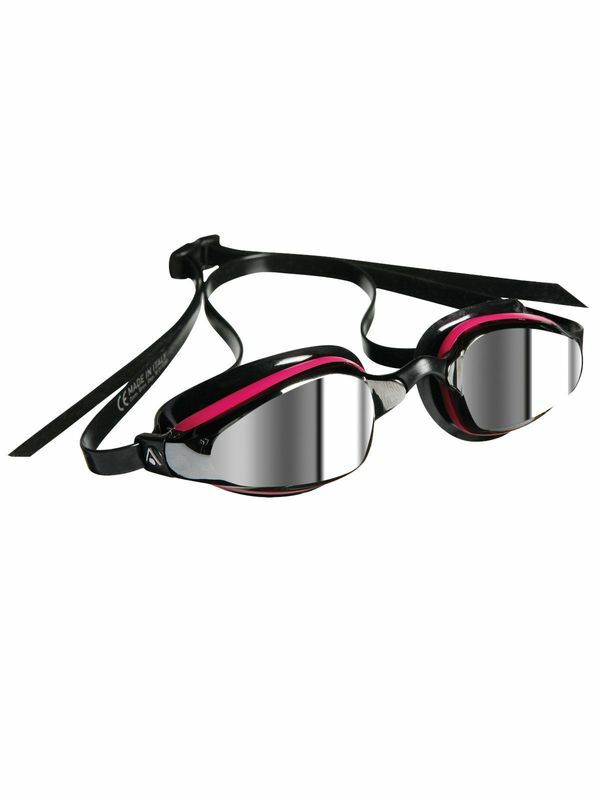 The MP MIchael Phelps K180 Black & Pink Mirrored Lens Goggles are an ideal training goggle. Designed by Olympian Michael Phelps & Aquasphere. Small goggle – big vision. The asymmetrical, anatomic lens design of the K180 offers a natural watertight fit with integrated curved lenses for a wide field of vision in a low profile goggle. The soft gasket and adjustable nose bridge ensure ultimate comfort.